When it comes to album titles, gay singer / songwriter Steve Grand came up with a good one for his second album. Not the End of Me (Stevegrand.com), on which Grand deals with his pre-sobriety downward spiral, is definitely fitting. Facing his demons head on, Grand has written some of his most visceral songs for this album (check out “Disciple”). Nevertheless, Grand knows his fan-base well enough to also include the kinds of songs his devoted followers will appreciate, as in the case of “You or the Music.” We spoke about the new album and his newfound clarity in July 2018, while Grand was doing his Provincetown residency. 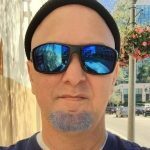 Gregg Shapiro: When we spoke in late spring 2017, I asked you about being “laser-focused” on your second album and you mentioned having just written and recorded a chorus, as well as the production work you were doing. How much of what you were creating at that time ended up on what is now Not The End of Me? 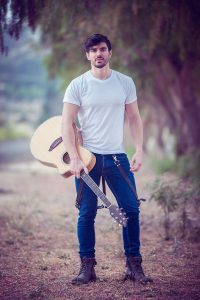 Steve Grand: At that time I think I was really refining my song “Safe and Sound” which is on the new record, track number five. I was hoping to get the album all done before I got to Provincetown (in the summer of 2017). I was going to do a shorter version of an album. But it’s such a time commitment being out here and promoting the show. I was flying out on the weekends, so I didn’t have any time to record. One of the first things I noticed about the songs on Not The End of Me is that you are doing different things with your voice, for example the gorgeous vulnerability of “Can’t Go Back.” Can you please say something about that? I wanted the sentiment of the song to be reflected in the way I was singing it. With this album I was more focused on being truly honest and vulnerable instead of just making something that was as mass-appealing as possible. I allowed my voice to do what it was going to do. As I’ve gotten older, I’ve gotten more comfortable with some parts of my voice that I wasn’t always comfortable with. Which is also a metaphor for the way we go through life, I guess. I’m more comfortable with it and I’m more than okay with parts of my voice that used to bother me. I’ve come to appreciate them more. It’s my voice and I know what’s behind that voice, what that voice has been through. There’s an authenticity there that’s been earned. When I was younger I didn’t always feel that way. I’m confident I’ve earned whatever authenticity and vulnerability is there in my voice. If there is a prominent theme on Not The End of Me, it would be the issue of indulgence and recovery, something listeners can hear on “Pink Champagne,” “Don’t Let The Light In,” and “Ain’t it Somethin’,” to mention a few. Please say something about addressing these subjects in song. Because I’m lucky enough to have a lot of loving and caring people in my life, they were able to catch me before things got too bad. But I was definitely on a road to self-destruction. I’ll say that. I was able to catch myself before it got too bad. It did get to the point where I was drinking every single day. I would drink in the morning and I started to rationalize drinking for just about every situation. It became my way of self-medicating. I wanted to numb myself out when I was feeling too stressed, anxious or overwhelmed, which is something I was feeling all the time those first couple of years. I always want to talk about this in a nuanced way and it’s hard to communicate that nuance in a headline. I feel like there’s an understandable tendency for writers and bloggers to sensationalize the experience of addiction of whatever you want to call what I went through. Like everything, it’s complex and it’s different for everybody. I’m glad you said that because, in addition to your record, recent albums by Nicole Atkins (Goodnight Rhonda Lee), Girl In a Coma’s Nina Diaz (The Beat is Dead), and fellow Chicago musician Michael McDermott (Out From Under), are indicators that recovery music has become its own genre. What do you think about that? I think we can continue to break everything down into infinitely smaller sub-genres [laughs]. But if that’s a way for people to classify music, then so be it. If it’s something that has an audience that wants to hear that and take strength from it, I’m for that. You included two versions of “Walking” – an “original cut” and a “radio cut” – on the album. Was this because you couldn’t decide which you liked better? That was part of it. Also, the original version is the one that came first. At some point after that, I wasn’t sure how much I wanted to try and make a fun pop record. I was experimenting with making it sound more fun and lighter than more commercially viable. That was version that I released and made a video for last year. I always kept going back to the original version. It was one of the first songs I recorded for this album. I wanted to put it on the album because it was the initial intention that I had for the song. I thought it would be a great way to start the album – also because of the lyrical content. I really love books and songs that start right in. I love when, with the first line or two, the writer throws you into it. I sing, “Caught up in the lights / Cameras in my face / Where did we go wrong / Why’d you walk away.” It gives you the right amount of information with the minimal amount of words to take you to exactly where I’m at. That’s where I wanted the album to start; in the chaos and confusion of having a viral hit and being overwhelmed by trying to keep my life together as things in my personal life are spiraling out of control. How that fed into whatever I was doing professionally at the time. “You or the Music” is also reflective of the kind of pure pop elation that your fans have come to expect from you. Have you ever had to choose between your music and a boyfriend? It sometimes has felt that way. I was in a very tumultuous relationship, my first relationship ever that lasted quite a long time. Of course, it’s not that simple. In order to make a cool song about it, you have to drastically oversimplify things. Yes. There were times when it felt that way. Because of the life I live and the guys I tend to go for – they really want no part of all the flying around and social stuff and social media. The guys I like are generally very reserved and keep to themselves. Which I think makes a nice yin and yang. I’m very much an introvert who is forced to put myself out there. Like today, I went to the Ptown Inn pool and I was flyering. It makes me anxious to walk up to strangers and say, “Hi! Come to see my show,” because not everyone is going to react positively to you. You know some people just want you to get lost. I don’t necessarily like it when people get up in my face and are trying to sell me something or get me to go somewhere. I know I don’t like it, so I understand how other people feel. Still, it takes courage to do that when I’m inclined to want to stay home and spend time with one person or a group of close friends. It forces me out a little bit. To answer your question, the guys I like are generally the ones I feel a genuine sense of home with. I don’t need all the hustle and bustle of all those other things in my life. I know that you come from a religious background and the song “Disciple” is full of religious imagery. Would you mind saying a few words about that song? I want to leave that song open to interpretation. It was a cathartic experience writing that song. I wrote it in a dark place, at the very end of my drinking days. I threw it all out there on the table. The song’s about a lot of things. There are things that have double meanings. There are things that have taken on additional meaning over time. I want to leave it up to my fans…. I’ve already had a lot of people message me about it, wanting to know what it’s about. People are sending me their different interpretations. I like that. I was super-unsettled when I wrote that song. I was at my wit’s end. There’s a quote that goes something like, “It’s an artist’s job to comfort those who need comforting and to make those who are comfortable feel uncomfortable.” If people walk away from that song feeling uncomfortable, that’s not a bad thing. Not everything wraps up neatly in life. I want people to feel what I was feeling at the time. That push forward. The anxiety of life changing around you, forcing you on, even if you’re not ready. At the time this interview is taking place, you are performing in Provincetown throughout the summer of 2018. Is there an autumn and winter concert tour in the works? I’m going to go wherever this album takes me. 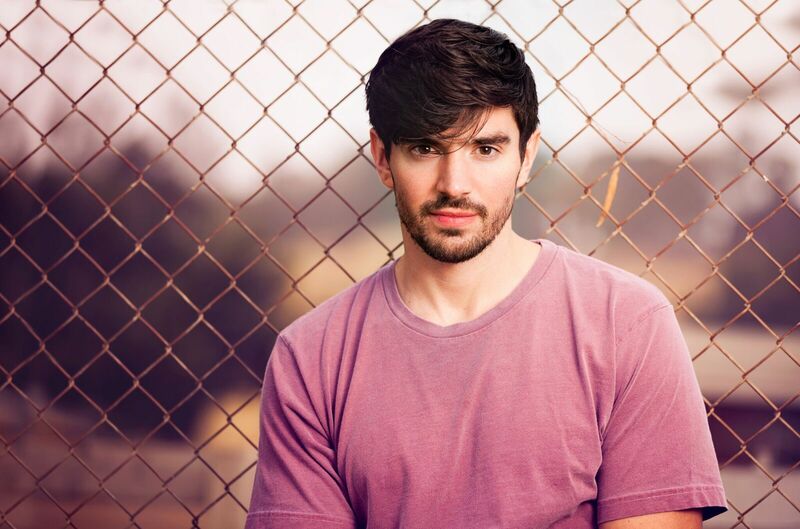 You can follow me on Bandsintown.com/stevegrand and that notifies people when their favorite artists, and hopefully that includes me, come to a town near them. That’s the best way to know when I’ll be in your area. Slowly but surely my dates are filling in. We’re starting to get more offers, especially with my new album coming out. We’re getting a lot of great press and my fans are excited about it. All of that is helping.